The Men's Vidda Pro are durable trekking trousers for adventures in the mountains and forests. 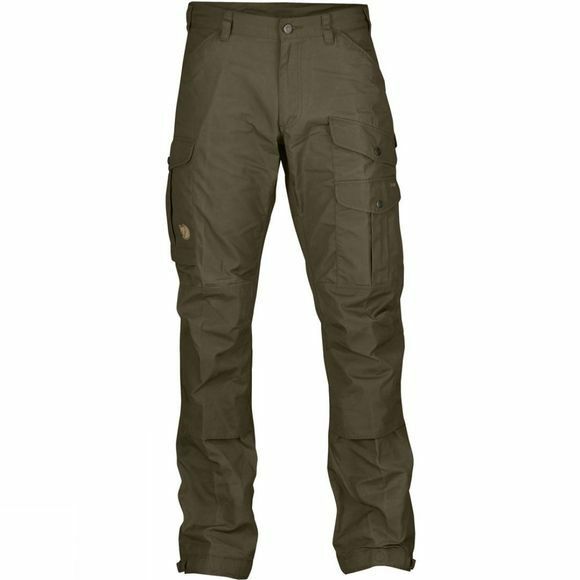 Made from durable, wind and water resistant G-1000 Original with double reinforcements over the rear and knees, these trousers are both hardwearing and practical. Numerous pockets provide plenty of storage for your essentials, including an internal phone pocket.